While renowned for popularising the incorporation of analogue joysticks into modern video game controllers, the Nintendo 64 Controller's joystick is, in fact, its biggest flaw. Those who played their N64 extensively back in its heyday will remember that the stick would become loose after extended use, so much so that it would eventually become unusable. If you've left your N64 in the past, then this probably doesn't matter. But it's becoming increasingly difficult (and expensive) for today's dedicated community of N64 fans to source controllers which still have decent, working joysticks. This is where ENKKO's crowdfunding project to provide quality joystick repair parts for the N64 controller comes in to save the day. The campaign has already attracted over $6,000 of pledges on Kickstarter, and it's not hard to see why; unlike many of the third-party joystick replacement units already available on the market, ENKKO's solution will be reversed-engineered to get as close to the OEM stick as possible. Understandably, something so novel and bespoke isn't cheap to produce. The purpose of ENKKO's Kickstarter campaign is to raise money to get the materials needed to take the project further: primarily an aluminium mould to accurately mass-produce the sticks. If you still play your N64 on a regular basis and want to live in a world where high-quality joysticks for the controller are plentiful, then take a look at the ENKKO Kickstarter project page and donate some money. According to a timeline on the page, ENKKO currently hopes to start delivering rewards in May. Cheaper on VC I mean. I've kind of hated the n64 controller,it feels like i'm holding a crossbow. I opened multiple N64 thumb sticks and its always the black gear parts that are wearing out. The joystick it self is always fine. When turning the stick around and around the insides of the black gear parts slowly scrape away and thats why the joystick is getting numb. Hmm if its a joystick replacement, then make it feel like a wii u or gamecube stick. Ive ran out of plasters..
@NinjaAceTrainer really? Because I'm pretty sure there's just a handful of games from the system's 387-game library. Sounds good, but I get the impression that they are slightly naive when it comes to the injection moulding process and specifying which polymer to use. A highly polished mould costs significantly more than the kick-started target, fot example. Yep. I saw a video about using the N64 on a Sony Trinitron CRT with an RGB mod and picture quality is by far the biggest problem due to the anti-aliasing filter used on all the games. Besides, why can't these people start business the way people are supposed to. You start small and build with quality and success, not ask for a bunch of money and do what you can. And the freakin analog stick on the controller ! As much as i love the overall controller design, the life span of the stick is just super poor. There are replacement parts out there, like a GameCube stick, but then you have deadzone issues. So yeah, im more waiting for a modern replacement for the entire console, controller and all than just a new controller. Most of the best N64 games will probably never be on the Virtual Console because of rights issues (Banjo-Kazooie, Goldeneye, Star Wars, Beetle Racing, etc). N64 emulation on PC is still pretty imperfect, and even then, it's hard to find a modern controller that maps naturally to N64 controls because no one makes controllers with 6 face buttons anymore. Right now your best option for playing N64 games is still getting an actual console and a new controller; fortunately it had so few games when it came out that there's still a reliable supply of never-used controllers out there, but we're going to have to work on more longterm solutions. Man those joysticks don't last very long on those old N64 controllers that is for sure. I remember getting one brand new and it literally did not last a month before it started acting up so what I really would prefer is someone to redesign the controller with sturdier materials and parts instead of repairing it. Love the design of the controller and thought it was quite comfortable but man do those analogue sticks wear out way too quick. Too bad that there is a deadzone issue on VC supported control sticks. Yeah that's the main problem with the N64. I'd love to have one around but it just looks appalling on a modern TV, worse than pretty much every other console (no RGB). I liked the "Ultra 64" controller mockup appearance better. But I did love my orange N64 stick I pre-ordered from Toys R Us way back in 96. @electrolite77 Its the weird AA filtering, which looked great on old TVs, but causes me actual headaches on modern ones. And with certain games (Harvest Moon 64 for instance) it even causes major ghosting and color bleeding, pretty much creating two overlapping images. Its horrible. I may invest jusynto try it out. I collect a lot of retro gaming stuff, and finding an N64 controller without anaolog wear is pretty tough. Thay being said, when you do find one, wear is inevitable. I am looking for a more long term solution! The Hori pad or whatever seems like the best bet, but they cost a fortune! I've NEVER had a problem with N64 controllers. The only reason I'm in the market for a few is that I lost my originals. The joystick was the best, immediate response, no deadzone whatsoever. Wait he wants to get it as close to the original stick as possible? The original stick IS the problem. I replaced mine not because it wore out but because you can buy a MUCH better stick online for a few dollars. It's much more comfortable and much more enjoyable to play with. @sandman89 @Einherjar I've got an HDTV with composite in and the n64 looks fine on it. I play all my old consoles and even nes games being massively stretched to that resolution look fine. I have no clue why anyone would want to back this....you could just buy a better quality replacement stick for like $4. The only issue with the original joystick is that with excessive use the stick wears away at the bottom pan that is plastic. Simply manufacturing a metal pan should fix the problem. Or like my N64 joysticks just put a dab of white lithium grease at the bottom of the pan to reduce friction. They should last forever, unless you play Mario Party that is. I love the Nintendo 64 controller design. It allowed for gripping the analog pad or joystick with Z trigger and just felt right. If you look at the time it was unknown if a joystick would take off in the market. Backed one for $10, if at least a reproduction of the original hardware it should be functional in game. Newer replacements have dead spots and aren't accurate in games like Wave Race 64. @Einherjar Super hard to emulate? Depends on what your demands are. On PC, Project64 v2.0 works just fine, with almost a 95% compatibility and that includes the most popular games. They even have high rez texture packs for a number of games to make them look better, and it has a built in scaler to make graphics fit your resolution and still look good. I'm not particularly fond of the N64 in general, the awful controller being one of the reasons for that. It's not just that it breaks easily, it's awkward to use as well. I might back this, I'll have to think about it. I love the 64, but like everyone else has suggested, there are alternatives that we know work decently. Replacement analog sticks already exist so what's the point? I'm much more interested in a HD N64 option. @Yorumi Yeah, it differs heavily from TV to TV. My big, main one displays ols system like crap. Granted, its one of the earlier "Full HD" TVs on the market. When i hook older consoles up to one of my PC Monitors (which are actually also TVs) it looks kindy sharp. But overall, much room for improvement. @TheRealThanos Ive quit the emulation scene quite a while ago, so im not "up-to-date" anymore. I mostly focus on mobile emulators. N64 emulation had all sorts of issues for the longest time. Texture issues, geometry issues, timing issues, you name it. What i meant with "super hard" is super hard to reach that level of overall compatibility and stability to make a commercial console out of it that can replace your N64. As close to the original stick as possible? Why not a better stick that doesn't wear out? I'd be interested in that. @Einherjar Well, I don't know if Project 64 has a mobile version, but on the PC it's pretty close to perfect, so I experience none of those issues. And if you still have a Wii lying around, or are okay with softmodding the Wii part of your Wii U, then Wii64 is pretty much the next best thing and the emulation is better than Nintendo's own on the VC, so that should tell you something. And as for using emulators on mobile: besides the fact I actually don't like any of them, I would only deem that suitable for handheld consoles, not for a system like the N64. You're then either doomed to play with horrible touch controls or you can pair a controller with your device, but why would you want to do that with such a small screen? Even tablets don't suffice in that respect, in my opinion. But to each his own, I guess, though I can really recommend any of the two options I gave you, so maybe it's time to get back up to date again and give them a go. Still prefer using the original system and controller when I can, though! My 26" 1080i TV, an earlier HDTV, also seems to play N64 games just fine. I guess certain TV's, especially big 1080p sets, don't work well for many N64 games, except for maybe things like the expansion pak enhanced titles and Jet Force Gemini. We'll see if this turns out to be higher quality than the cheap stuff made in China that are the only things available today. Cheaper is not necessarily better. Nothing wrong with using good parts, whether you're a connoisseur or a regular retro enthusiast. @Einherjar You'll have to torrent the v2 version of Project64, since that is only available for members on the official site. The upside of v2 is that it is completely ad-free. 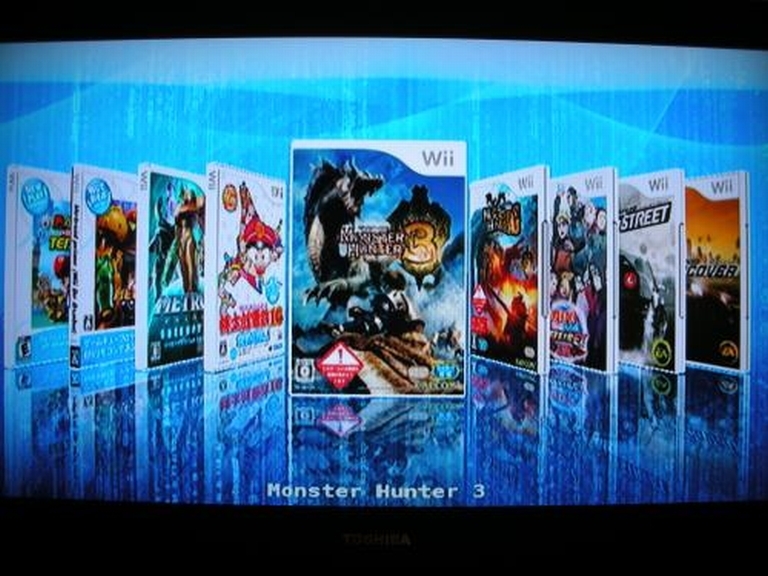 That page also has WiiSX, a Playstation 1 emulator for Wii/Wii U which also runs fine. I have that installed too. @TheRealThanos Uh oh! No linking allowed! I love the N64 controller for N64 games. Pretty much the same way I only really like GCN controllers for GCN, although it does work with me for any Smash game. But if it comes out decent this is the first retro remade controller that I'm ever going to be interested in. NES & SNES are things I didnt get to explore until about 10 years ago, so those special controllers mean nothing to me. Now if the WiiU-GCN fightpad had more uses then I'd be getting one of those immediately as well. I haven't seen Harvest Moon, sounds awful. If my Lottery numbers ever come in I'll get a quality CRT, RGB-Modded N64 and a huge collection of games. Actually for the latter I'd probably need two Lottery wins. I second what @TheRealThanos says about emulation though. I softmodded my Wii a while back and the N64 emulation is very good. Better if I could use my N64 pad of course, but generally well worth it. I thought the joystick on the N64 was fine. The real problem was where it was located. @electrolite77 For the original N64 console another worthwhile purchase is an Everdrive 64, don't know if you've heard of them, but they're pretty good. Will the joystick on these new controllers be better than the original ones? The possibility to play fan translations on a real mashine is just fantastic. @Einherjar Ah, Dragonbox. I've registered at their site, because I was once planning on buying a Pandora, and after that a GCW Zero, both of which I ultimately decided not to buy. Now I'm saving up for a MiST board and a GPD XD, which to me personally seems a far better solution than the JXD tablet you have, but opinions, aye? I also speak German, so you could use your native language there if you'd like. It just depends on what youre planning to do with it really. If youre strictly in it for gaming purposes, there are plenty other options around, sure. Im currently waiting for their next big thing, the PYRA to show us a little more details. They are supposedly pretty far down the road development wise. As for the JXD, i actually bought it on a whim really. I cant remember exactly where i saw it, i think it was Ashens YT channel and got a good deal for one. @Einherjar The sticks is the one thing that I was also warned about, which is why I am so interested in the GPD XD, which is using the exact same sticks as the PS Vita, which are supposed to be quite good. They have also continuously improved the design and they have an active community to which they really listen and that is what makes this (imho) the ultimate handheld as far as a mix between Android and retro goes. It even plays Dreamcast games, which is a big attraction for me, since I am a proud and still happy owner of a Dreamcast, so being able to play these on the go would be wonderful to me. @Einherjar P.S. the console messenger invite is only to be able to share my email, so we can have more elaborate conversations. On site it could go too much off topic, and in console messengers there is only so many letters you can use for each message, making options quite limited. By most you mean not even 5 percent? have you tried your posting of the gcn stick on the n64 pad? I remember taking my N64 joysticks apart a few years ago and fixing them. Only one had somewhat noticeable signs of stick wear, and nearly all of the issues were caused by the U-shaped slots in those gear pieces widening. In the end, I just used the superglue-mache trick, added a touch of petroleum jelly, and they were right as rain. Reading through his Kickstarter campaign though does make me wonder why he's just scanning (and not remodeling/retopologizing some of the more complex pieces). @hYdeks Those replacement sticks are supposed to have issues. There are mods you can buy that are supposed to improve them, but by that point you've put quite a bit of money into it. I wonder how this Kickstarter will compare to the parts kitsch-bent is making. I'm not sure if they're not out yet or just out-of-stock, I haven't been watching. Would love to get my Jungle Green controller working again. That thing is super loose, and I took pretty good care of it. Edit: I just watched their video. He's only making the stick and bowl, and Kitsch-Bent is only selling the gears, so hopefully this'll be a perfect fit. You're right in that those that have made it to the VC are cheaper than to buy new-especially Paper Mario which is really expensive and DK64 which needed the Expansion Pak. Plus they look better through the Wii U than playing the original machine on a modern TV. As others have said though there are so many missing. I reckon there's over 100 games worth owning for the N64 but the Wii U VC has 9. Hopefully that's something they increase in the future even if it's just Nintendos own games. Thanks for that, for some reason I didn't know there was an Everdrive for the N64. That actually makes the idea of getting another N64 a lot more appealing. @TheRealThanos So since I got my WiiU on launch day, my old Wii has been packed up in a closet. I'm very interested now in modding it and running emulators for all my retro games I own in one system. Where are the best "how to" vids and forums found if you don't mind me asking, and what is the initial cost to get a Wii beefed up similar to yours. I'll be looking to back up my NES, SNES, N64, GameCube, and GameboyAdvance SP games. 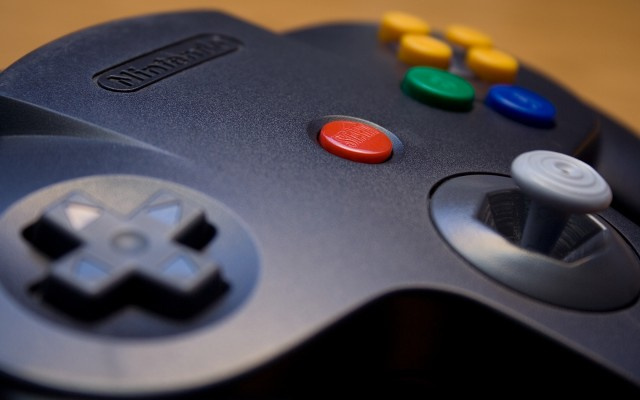 I didn't know there were any problems with the joystick on the N64 controller; in all the years that we owned one (we definitely still owned it when the Wii came out, but we don't have it any more) we never had any issues with the analogue sticks. Are you guys sure that you were playing the games right? @electrolite77 Holy cr... that's a lot of games. I have around 62 actual cartridges, but somewhere in 2010 I downloaded a DVD that had all the ROMs on it, so I don't need a room full of cartridges catching dust because I'll never play most of them. There's a lot of bad games in those collections, so it's more for completionists instead of players/gamers. Check out the Stone Age Gamer website: there are Everdrives for just about any system that was ever popular, including handhelds, so 8- and 16-bit consoles, the N64, Game Boy, DS and so on. @Nosferatu-Zodd I don't mind at all. Initial costs are not that high: you need to buy either a large capacity USB stick (preferably 64GB or higher) or a FAT32 formatted portable hard drive. I always buy Western Digital Elements drives; they're small, light and reasonably priced. As a standard, they are formatted in NTFS for Windows, but you can also buy the versions that are compatible with Apple computers since they are already formatted in FAT32. Then again, you could always format a drive yourself, but that takes a long time, especially if you have a drive from 1TB or higher. Then you need a 2GB SD card, but non HC (High Capacity). A lot of sites say it doesn't matter, but in my personal experience (and I've modded around 15 Wii's) the SDHC cards are slightly unreliable in the Wii for some reason. As for the videos: just look up homebrew channel videos and Letterbomb videos. There's also a few sites to check out, like hackmiiDOTcom and wiibrewDOTorg. The second one has full tutorials on just about anything, so that should make everything clear. Emulators for all the retro systems can be found in the chapter "Homebrew applications" at the bottom left side of the page. If you follow all the tutorials EXACTLY as they are written, then it really is a piece of cake and you can't go wrong. Games for all the emulators can be found on emuparadise, all neatly arranged in categories, and if you also want to try out N64 and PSX emulation (both work great) then Google "Wii64 and WiiSX recompiled" and click on the "GBAtemp" or "ForumWiibrew" link. Also, for full native GameCube playback (also on Wii's that don't have GameCube controller ports) look up "Nintendont". Well, that should keep you busy for quite a while, but let me know if there's anything else you want to ask. @Nosferatu-Zodd To add to all that, I'd advice you to look up how to change the config files of the different emulators to load all games from USB. Wii and GameCube games do so by default, but most of the retro emulators look for games on the SD card, and obviously there are only so many games you can fit on there. Back in my younger days I never had a problem with the N64 controller. Now when I try to use it, I just find it really awkward to hold. I've mainly moved on from the N64 but still have loads of games for it. Maybe I should dig it out and have a go but there's lots of other games I've not got around to playing yet and they're probably much more fun. I didn't like the n64 controller's big mushy d-pad. The curve they added across the face of the controller made the left side of the dpad taller than the right side(if I remember correctly). That was my main gripe with that controller. Mk trilogy was pretty difficult because of this, although that game had issues with the button input timings. Anyway, I never really had problems with the analogue stick, and replacement sticks are readily available for cheap with the true 'feel'. Not sure what the business case is for this project. @InternetBowser Gamecube 'style' n64 replacement sticks exist, are not prohibitively expensive, easy to find online, and even easier to implement into your controllers. All of my N64 pads have been upgraded using these new parts, and I've never looked back. This kickstarter is a joke. Replacement joysticks are so easy to get, and they work just as well, and many like my aforementioned gamecube style design work even better. @TheRealThanos thanks for all the advice man. I do remember reading that people have trouble with high capacity SD cards, but if you're saying that a high capacity Jumpdive works fine then I'll go that route to store the Roms. Do you have a reference on hand that explains how to reformat the emulators to search for the Roms in a jump drive vice SD card? @Nosferatu-Zodd Most of these changes in the config files should be mentioned in the tutorials on wiibrewDOTorg under the emulators chapter. Emulators like all the 8 and 16 bit systems have an options menu once you've installed them, so you can direct the emulator to where you put the ROMs. Just take care to name the folders EXACTLY the same as they would be on the SD card. The most simple solution for that is to simply have all the folders on the SD card as well as on the USB stick/portable HD. On the HD/USB stick, make two folders, one called "wbfs" and one called "games". The first one is for Wii games and the second one for GameCube games. To load them, I prefer "USBLoaderCFG" aka "configurable USB Loader". It's the most user friendly one and from it you can load, install and remove Wii and GameCube games from and to your hard drive/USB stick. Look for the version "v70r78". It's the most compatible one. If you have to format a drive for the Wii (not necessary for most USB sticks since they are already FAT32, but check to be sure) make it FAT32 with 32kb cluster size. This is VERY important for stability and compatibility!! When you're done modding, let me know and I will send you my configuration file for the USB Loader. It has settings to exit out of a game straight back into the Loader (instead of first going to the Wii menu and having to start up the USB loader again) and fixed settings for the appearance/display settings of the USB Loader, making it more or less fool- and childproof and looking rather cool, if I do say so myself. I have also added rules for downloading cover images and for playing music while in the menu. The music settings can obviously be changed to suit your own tastes, but we'll get to that once you're ready. @electrolite77 That's still more than the N64 games on the Wii U VC. I wish people who have no idea what they're talking about would stop posting things as if they know what they're talking about. Super Smash Bros 64 on Virtual Console drops frames. Unplayable in competitive events. Playing N64 games on modern televisions (as well as gamecube games) causes a significant input delay. Unplayable in competitive settings. Replacement sticks do not have the same feel as an original N64 stick, which makes a HUGE difference to a competitive player. Those of us who have been playing since it was released do not want something that doesn't work or feel the same.